The Episode starts with Peshwa telling that they shall stop Bheema and Shiva from killing Gangadhar and says what will be our benefit. He says if he dies, then british will get Jhansi and we will get another defeat. He asks Moropant to stop this. A Brahmin scolds the Jhansi villager for drinking water from his place and says you have changed place, not your caste. Manu asks Brahmin to give water to her. He gives her water. Manu makes the villager man drinks water. Brahmin says he is not from our caste and says if I had drink then all my goodness have become a sin. Manu drinks the water from the same pot and asks did my caste changed? Moropant says he is in dilemma and says my daughter…Peshwa says he is Bharat’s daughter, desh’s daughter and says Manu has the quality of making Gangadhar bend down infront of her and says today Jhansi is under the british rule, but it will be freed from british then. Moropant says I will talk to Manu about it. Manu tells Brahmin that all castes are same, human caste. She says God made all of us same and asks who are we to talk about high caste/low caste. She tells the shloka and says there is no dharm is bigger than helping other and no adharm is bigger than hurting others. She takes the villagers with them. Everyone is happy. Moropant smiles hearing her and thinks Manu is a Devi Avatar. He thinks he shall agree for this marriage and thinks wherever she will go, she will make the place free from british and will create history. Bheema and Shiva asks Gangadhar’s soldier about him. Soldier tells that maharaj will come tomorrow to temple. Tatya Dikshit tells Moropant that he is hopeful to get his approval. Vimla, and Gayatri feel proud of Manu. Manu says she got her aim now. She says until the widow customs, indiscrimination due to the caste happens, this nation will not be freed. Moropant gives his approval of Manu and Gangadhar’s marriage. Manu comes and says never. I will never marry such a cruel King and says I have seen how he behaves with his people. She asks her father if he is fed up of her. Moropant says no and says I want to make your future good. Manu says he is sitting in the palace, and made his people homeless. She says who can’t become of his people, then how can he become mine. Tatya Dikshit tells that Gangadhar is not bad and surrounded by conspiracies. Manu tells him that she don’t want to marry as her aim is something else. Moropant tells Peshwa about her decision. Peshwa says I thought that she will do the same hearing about Gangadhar from his people. He says I will convince her and asks if he sent Tatya (Manu’s guru) to Jhansi to stop Bheema and Shiva. Moropant says yes. Tatya thinks to reach soon and stop them. Peshwa asks Manu why she is not understanding today. Manu says she will not become wife of a selfish king or anyone else wife. Peshwa says I knew that you want to be krantikari, but it is not that easy. He says you have everything, but one thing is missing which you can get by becoming Rani, and ie,s Adhikaar/power. Manu asks what? Peshwa says you can take such a decision which will not only change Jhansi but all the nation. He says Gangadhar have become mohra now, and says if you marry him then you can make him see the truth. He says if you would have been Maharani then will you let those people homeless. Manu says no. Gangadhar comes to the temple. People says Maharaj ki jai. Bheema and Shiva are about to kill Gangadhar, when they see Gangadhar covering an old woman with his shawl. Shiva gets surprised. Bheema asks him to kill him. Peshwa tells Manu that she couldn’t help Manjiri as she was not having any powers and Manjiri had to follow the window customs. He says you have to take Shakti avatar and make Maharaj go against British. Manu sees herself as Maa Durga. Shiva is about to shoot Gangadhar. Tatya is coming there. Manu bends down infront of Goddess and says today I take the oath that I will win from the enemies. She tells that she is ready for the marriage. Peshwa says I am proud of you and says I want you to do the puja. Manu asks shall I call people of Jhansi here, as they have no place to do puja. Peshwa says surely, we will do puja altogether. Moropant comes to Tatya Dikshit and says Peshwa convinced Manu. Gangadhar puts Diya in the water. Manu also do the puja and make the Diya swims in the water. Manu recalls Peshwa’s words asking her to marry Gangadhar and make him against the british. Shiva is about to shoot Gangadhar. Gangadhar is doing aarti in the temple. Precap: Bheema and Shiva get caught. Ross beats them badly. Manu asks Peshwa to give her a gift. 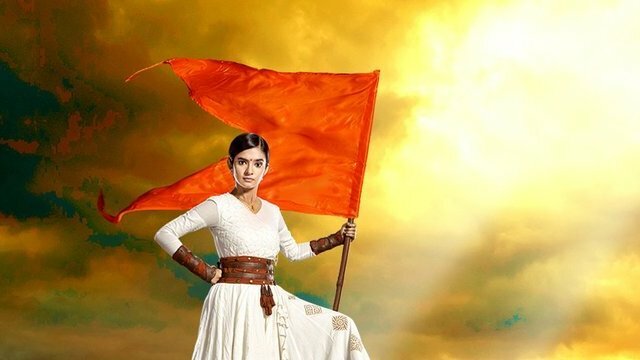 The post Jhansi Ki Rani 20th February 2019 Written Episode Update: Peshwa convinces Manu to marry Gangadhar appeared first on Telly Updates.